Normally, I like to save the best for last, but not today. 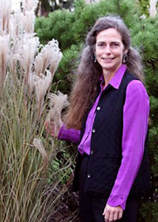 The most radical talk at the APGA symposium was given by two scientists from the Desert Botanical Garden: Dr. Joseph R. McAuliffe (Associate Director of Research) and Dr. Kimberlie A. McCue (Program Director, Conservation of Threatened Species and Habitats). They posed the following question: How do you keep a species from becoming extinct? The answer: A plant in every yard. To spice things up a bit, Dr. McAuliffe was wearing his Che Guevara beret. We know that seed banks (Kew Millennium Seed Bank in the UK) and seed vaults (Svalbard Global Seed Vault in Norway) are trying to preserve our biodiversity, however, seeds, even under the best circumstances, are only viable for a certain amount of time. Both McAuliffe and McCue look at this potential disaster and think about ways we can make an ecological difference. The way to change a plant's status from threatened to common is to put it in the hands of the people. 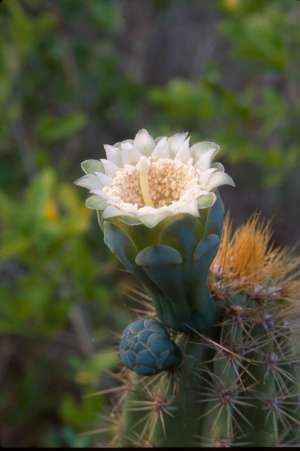 For example, the Key Largo Tree Cactus is a threatened plant. 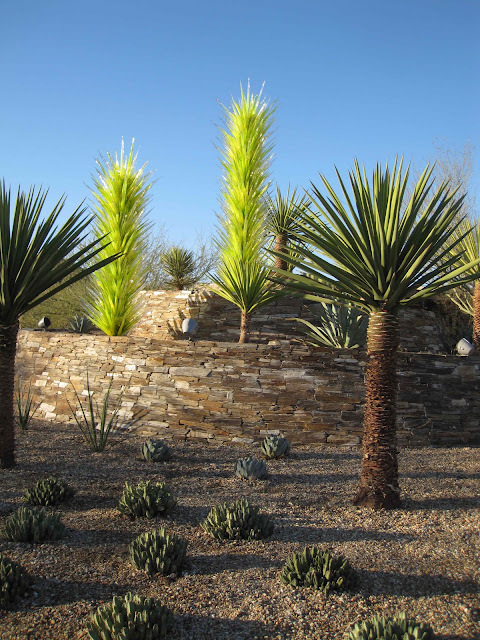 The way to preserve this plant is to make it available to people who live in the region where that plant is native. If you "release"this plant to the public, you have to keep it in its native habitat. The Key Largo Tree Cactus in bloom. "Marshall the power of the people," this is not the kind of speak you hear from scientists. For McCue and McAuliffe, to keep our biodiversity, we need to think outside the box, challenge conventional paradigms. One-third of all plant species are threatened with extinction, this kind of creative, innovative thinking may be the solution. And it's definitely the reason I go to these conferences. Authors want to sell books, I get it. 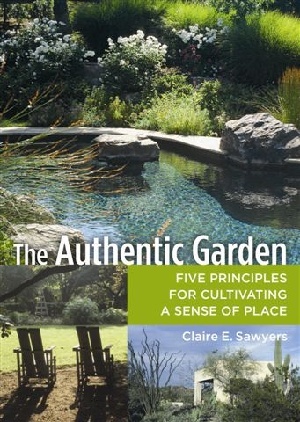 Clare Sawyers is a thoughtful thinker, advocate for public gardens and author of The Authentic Garden. That wasn't enough for me. I want to recommend two gardens Clare showed in her presentation. 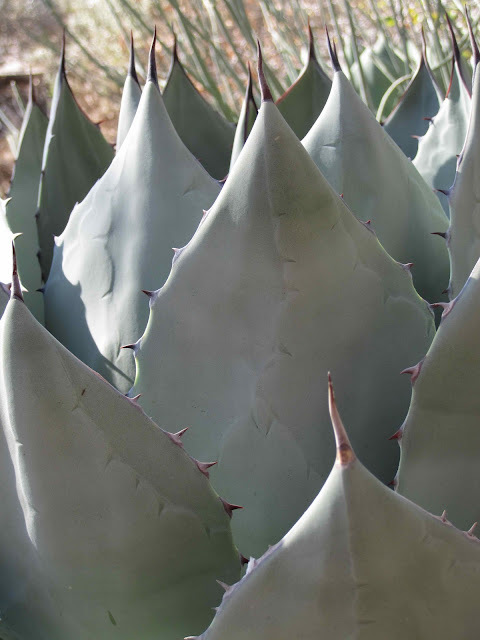 I have put them on my list: Oaxaca Ethnobotanical Garden in Mexico, and Spring Preserve in Nevada. 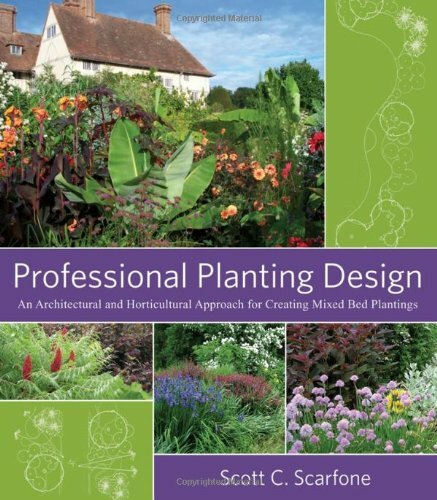 This conference brought together some of the really important names in the garden world. 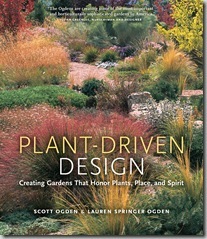 Lauren and Scott Ogden are authors of Plant Driven Design: Creating Gardens That Honor Plants, Place and Spirit. I appreciate the Ogdens. They have blazed a trail away from the glossy gardens of perfection found in magazines. They are not plant divas, but great plantsmen. After listening to their talk, I put their book at the top of my pile. I don't like rules, especially in horticulture. 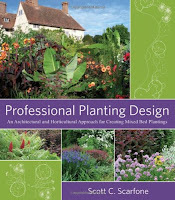 When you are going to school you take a lot of courses, where instructors try to lay a foundation for design and color. Scott Scarfone of Oasis Design Group gave us the 10 steps to creating a good design. I turned off my "hearing" aid. This type of approach reduces design to simplistic understanding of complicated intentions and that is why I object to it. "Show Girls and Drag Queens"
After nearly 12 hours of presentations, finally, a guy with a sense of humor. Tres Fromme is a principal at Studio Outside in Texas. Tres Fromme's presentation focused on branding, a word not often heard in the hushed hallways of public horticulture. 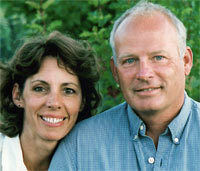 He and Mildred Pinnell Foekele, Director of Horticulture at the Atlanta Botanical Garden gave a joint presentation. Cosmos and Cosmopolitans, Hydrangeas and Highballs...getting people into the garden is Tres' mission. 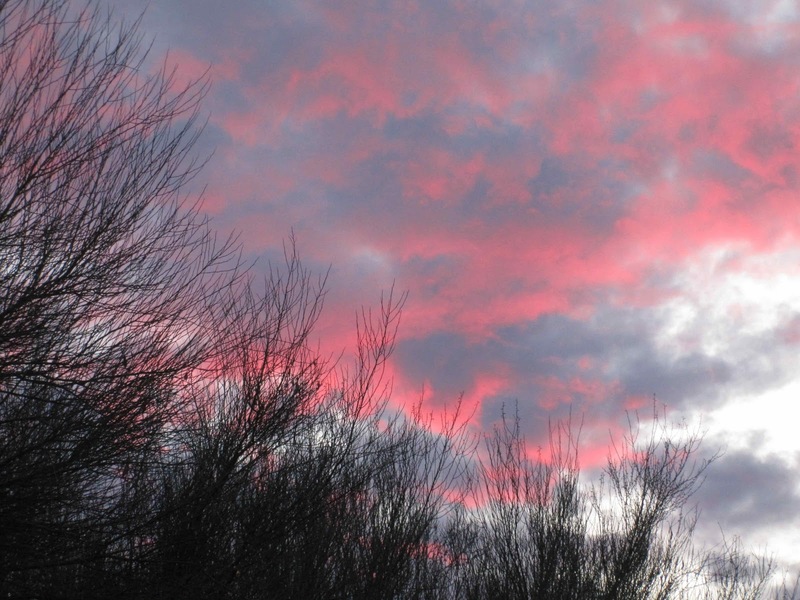 How to create a sense of urgency among visitors are some of the topics Fromme addressed. He specializes in the WOW factor. And that WOW factor is taking an institutions assumptions and turning them on their head. 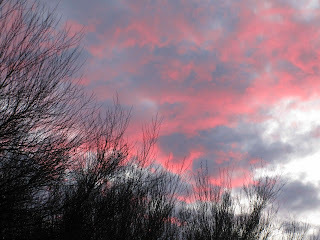 Sunset at the Desert Botanical Garden, opening night. This symposium is one of APGA's professional development events. For me, one of the most valuable aspects was talking with the participants, exchanging ideas, sharing information, commiserating on problems and getting refreshed for the work week staring tomorrow. I am ready to go with a few new coping strategies.